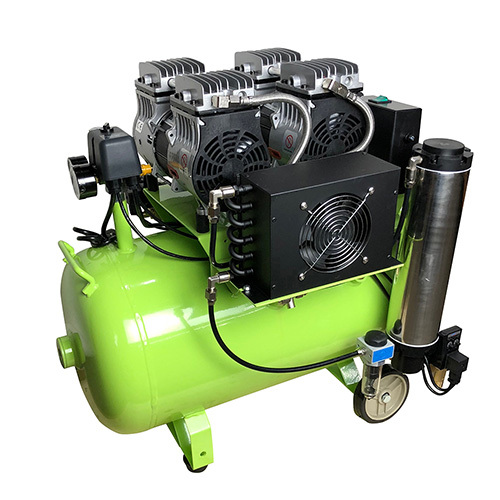 The Dual Head Ultra Clean Oil-Free Compressor supplies 100% oil-free air to the environment. The automatic high-performance air-drying system with auto drain guarantees the delivery of clean, dry air to your jewelry studio. The automatic tank drain along with the automatic air-drying system virtually makes it maintenance free other than having to empty the water build-up in the tank, which is common to all compressors. Made in China. Dimensions: 28" x 20" x 28"